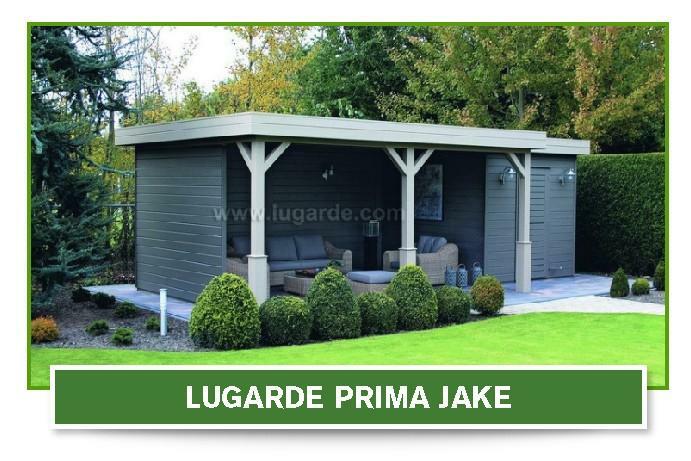 Prima Jake Standard design with 1 single door DD01H. The posts are 12×12 cm and fitted with decorative bases (not a standard feature). The front canopy overhangs by 120 cm. Summerhouse is pictured with 1 board higher, this is non standard. Available with 28mm or 44mm walls. Please select any additional options.